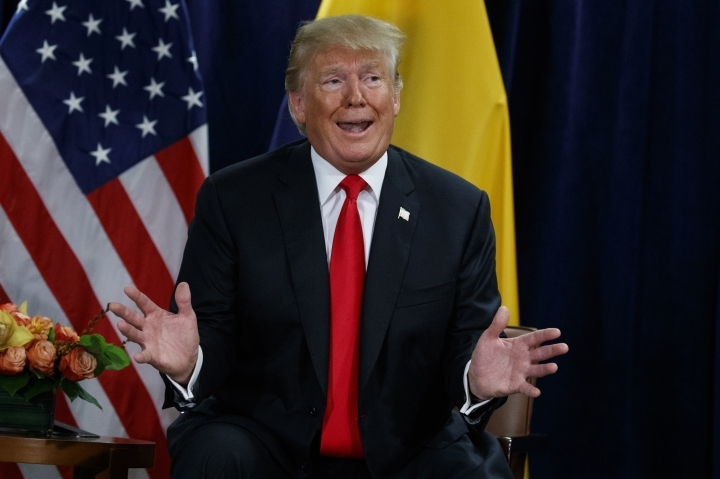 WASHINGTON — President Donald Trump denounced Democratic efforts to block Brett Kavanaugh's Supreme Court confirmation as a cynical "con job" on Tuesday and launched a dismissive attack on a second woman accusing the nominee of sexual misconduct in the 1980s, asserting she "has nothing." Hanging in the balance is Trump's chance to swing the high court more firmly to the right for a generation. 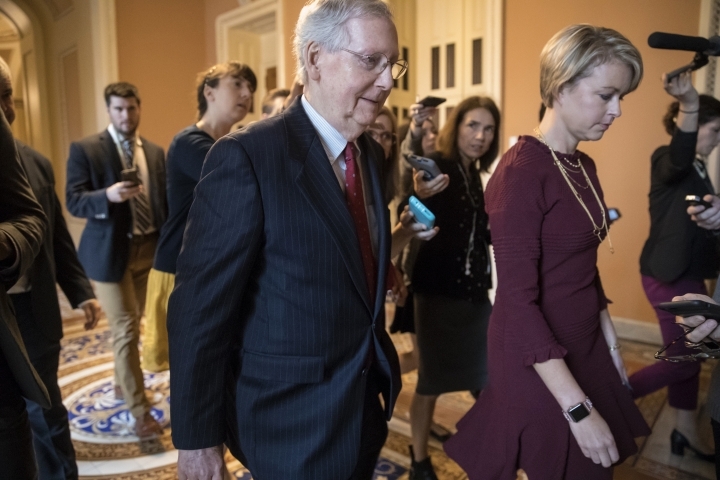 Despite McConnell's forecast that Republicans will "win," Kavanaugh's fate remains uncertain in a chamber where Republicans have a scant 51-49 majority. "I will be glued to the television," said Sen. Susan Collins, a moderate Republican from Maine, who has yet to declare her position on confirmation. Hoping the hearing will yield no new surprises, the Senate Judiciary Committee scheduled its own vote on Kavanaugh for Friday, and Republican leaders laid plans that could keep the full Senate in session over the weekend and produce a final showdown roll call soon after — close to the Oct. 1 start of the high court's new term. Meanwhile, the Republicans were still assessing what Kavanaugh's Monday interview on the Fox News Channel — an unusual appearance for a Supreme Court nominee — indicates about how he would do in Thursday's hearing. 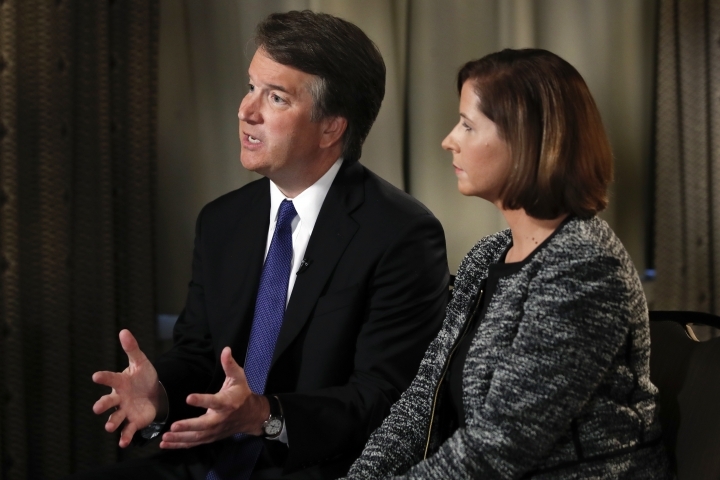 Yet Kavanaugh's accounts of his behavior in high school and college have faced intense scrutiny, with some of his former classmates coming forward to challenge his claims. James Roche, a Yale graduate who says he was Kavanaugh's roommate in 1983, issued a public statement saying he was "close friends" with Ramirez and "cannot imagine her making up" the story about Kavanaugh exposing himself. While a few Republicans have strongly challenged the credibility of Kavanaugh's accusers, Trump's words have been more biting. Last week, he lampooned Ford's allegation that an inebriated Kavanaugh trapped her beneath him on a bed at a high school house party and tried to take her clothes off before she escaped. Surely she would have reported it to police if the encounter was "as bad as she says," the president said. Trump's latest broadside was aimed at Ramirez, who conceded to The New Yorker that she'd been drinking at the time she says Kavanagh exposed himself. She also said she was uncertain of some details. "How many women have heard that before? How many women have kept their experiences quiet because they knew they would hear that?" Sen. Patty Murray of Washington said of Trump's characterization. In a phone call with Judiciary Committee staff of both parties, Kavanaugh denied Ramirez's story, panel spokesman Foy said. Republicans are concerned that, win or lose, the battle over Kavanaugh's nomination is further animating women already inclined to vote against Trump's party in November's elections in which control of the next Congress is at stake.